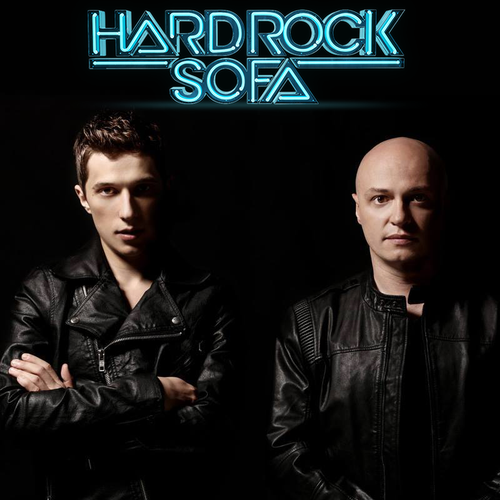 Hard Rock Sofa is one of the top music producers and DJs in Russia. The project was founded in 2005 by Alexander Shapovalov, Denis Chepikov and Sergey Zuev. For the 5 years of being on the music scene Hard Rock Sofa released about 20 singles and over 50 remixes on such labels as: Axtone Records, Size Records, Spinnin’ Records, Ministry Of Sound, Doorn Records, Cr2 Records, Mixmash Records, PinkStar Records, N.E.W.S, Nervous Records, Instereo Recordings, Swings and etc. Their tracks are played and supported by Pete Tong, Axwell, Steve Angello, Sebastian Ingrosso, Tiesto, Armin Van Buuren, Above & Beyond, Roger Sanchez, Markus Schulz, Marco V, Joachim Garraud, Judge Jules, Carl Cox, John Dahlback, John Acquaviva, Danny Tenaglia and so on. In 2007 the track “Break The Sun” became the winner of Pete Tong’s Fast Traxx TV Show contest. Lots of singles and remixes of Hard Rock Sofa often hit Beatport and Junodownload charts. In 2011 Hard Rock Sofa and St. Brothers released their brand new single “Blow Up” on Axtone Records supported by all Swedish House Mafia members, Tiesto, David Guetta, Sander van Doorn, Markus Schulz and other famous DJs and producers. This release was a great success and made the guys even more popular. For the nearest future Hard Rock Sofa is planning on releasing a few new singles and remixes on different big labels. Currently Hard Rock Sofa is performing DJ Sets and Live shows all over the world. The project was the guest at such famous fests as: Gatecrasher, Kazantip, Global Gathering. Hard Rock Sofa’s gigs always blow up the dancefloors and the minds of the clubheads.